Location: Folded underneath hips, spread out forwards in use. Ammo: 30 solid rounds per gun. Rate of Fire: 1 fire-linked slug per attack. 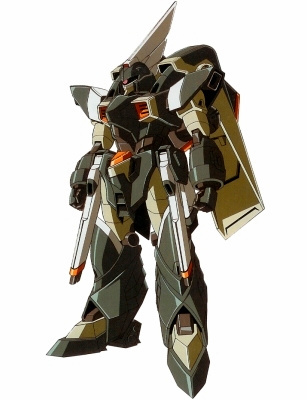 An upgraded version of the ZGMF-600 GuAIZ, the ZGMF-601R GuAIZ R serves as ZAFT's main mass production mobile suit in the postwar period and during the early stages of the second Earth Alliance/ZAFT war. While the basic design is the same as the original, several improvements have been made to its armaments. The head vulcans, composite shield and beam rifle of the original remain, although the extensional arrestor has been removed. In addition, some of the backpack thrusters have been removed. The GuAIZ R's hips now feature a pair of "Pollux IX" railguns that function in a similar manner to the "Xiphias" rail cannons used by the ZGMF-X10A Freedom Gundam. At the outbreak of war in October C.E. 73, ZAFT is in the process of replacing the GuAIZ R with its latest mass production design, the ZGMF-1000 ZAKU Warrior. The successor of the old ZGMF-600 GuAIZ, the GuAIZ R's armament consists of a pair of two hip-mounted folding MMI-M20S "Pollux IX" railguns, which replace the original extensional arrestors. Also an advanced version of the composite shield is mounted on the suit's left arm, which replaces the original dual beam claw with a single beam saber. Besides these changes, the GuAIZ R, like its successor, mounts two head-mounted CIWS and carries a single beam rifle. Beside the change in armament, the additional thrusters on the original unit were removed, allowing less experienced pilots to use them. 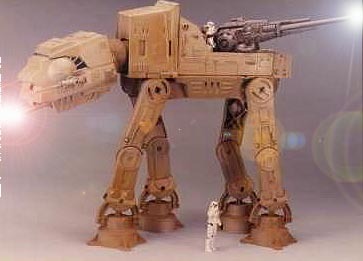 Though more heavily armed than the original GuAIZ, the removal of the additional thrusters on its shoulders reduced it's overall speed, but made them more efficient ground units. 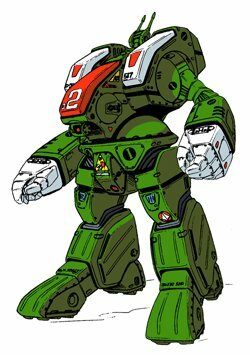 After the end of the Bloody Valentine War, a new variant of the original GuAIZ was designed, with the result being the GuAIZ R. Although its introduction date is unknown, in the second half of CE 73 they are slowly replaced by the more powerful and versatile ZAKU series (especially ZAKUs equipped with the high-performance Blaze or Slash packs). 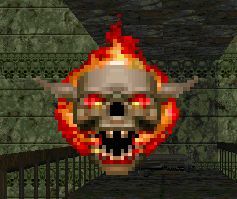 Since this replacement took some time, many GuAIZ R units were used in the Second Bloody Valentine War. During the prelude of the war, several GuAIZ R models were used against renegade ZGMF-1017M2 GINN High Maneuver Type IIs in the Battle of Junius Seven, aginst whom they fared poorly. It is however unclear whether this was a sign of inferiority on the part of the GuAIZ R, or merely on the part of the ZAFT pilots. Fixed armaments: 2 x MMI-M20S "Pollux IX" railgun (folded underneath hips, spread out in use); 2 x MMI-GAU2 "Picus" 76mm CIWS (fire-linked, mounted in head); MA-MV05 composite shield (features beam saber on tip, mounted on left arm). -Appearances: Mobile Suit Gundam SEED DSTINY; Mobile Suit Gundam SEED DESTINY ASTRAY; Mobile Suit Gundam SEED DESTINY ASTRAY (photonovel).